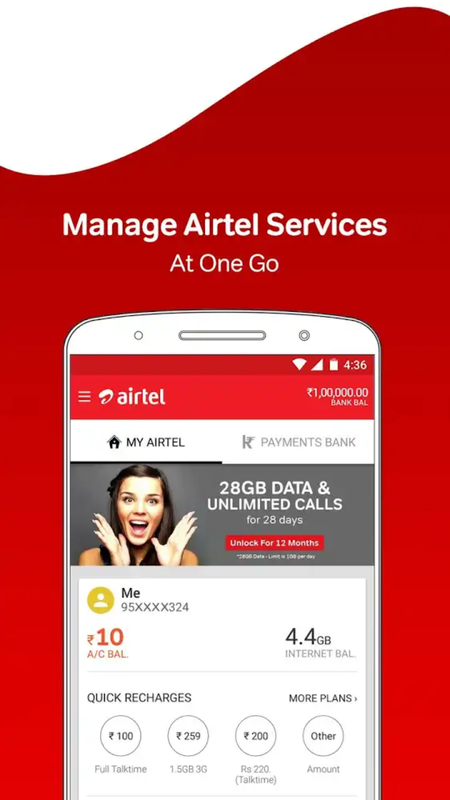 Finally Airtel has launched its own MyAirtel self-service app making it available in 3 countries, which are India, Bangladesh and Sri Lanka. The MyAirtel app is a self-service platform designed to serve customers on anything that has to do with your Airtel sim without you having to contact Airtel customer care service. The MyAirtel self-service app is available for all Android, iOS and Windows smartphone users, but just available in three(3) countries though we are expecting them to expand very soon. The app is for both postpaid and prepaid subscribers and browsing on the app is totally free.